Volunteering with DOGzHAUS is one of the best ways to help the dogs. We need people to help in every aspect of the organization, from making calls, taking dogs to vet appointments, delivering dog items to the foster, preparing the adoption event to walking dogs and helping out with the website! If you are in the Los Angeles area, you can make a tremendous contribution to DOGzHAUS's wonderful work by volunteering just a few hours a week. Please check out the volunteer opportunities below and let us know how you would like to help. 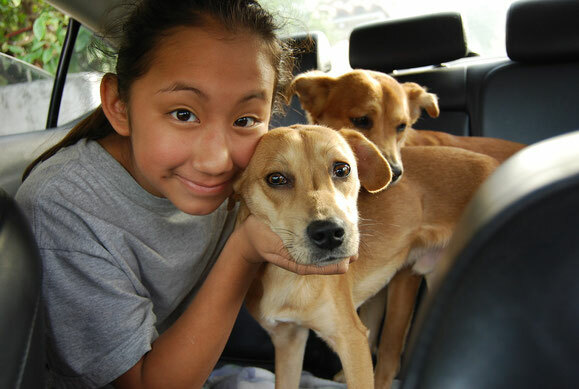 Our foster homes are the backbone of the orgaization. They provide a much-needed temporary home for a rescued dog until a permanent home is found. If you are interested in pursuing this opportunity, please conplete a foster application, so we can match a foster dog to you, your home and lifestyle. Please go to "CONTACT" and ask for the foster application. Members of this team will be on call to transport our dogs to and from adoption events, vet appointments, shelters, and foster homes. DOGzHAUS need volunteers to help in every stage of planning and facilitating these special events. If you are interested in becoming a volunteer, please go to the "CONTACT" page.